Cairo Santos drills a 28 yard field goal. 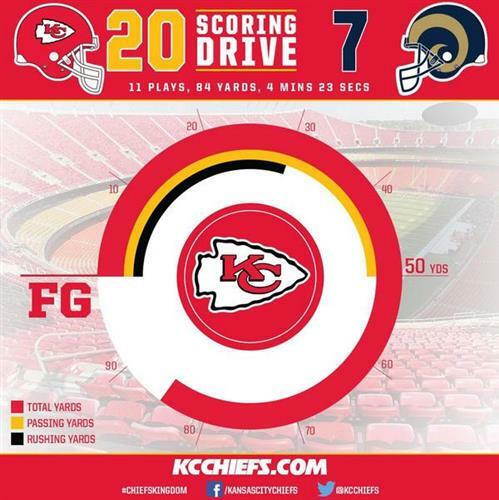 #Chiefs now lead the #Rams , 20-7. 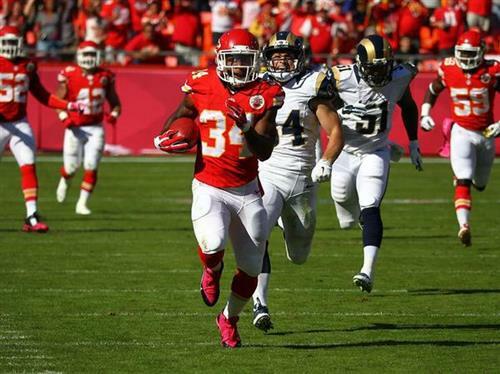 Here’s the Knile Davis touchdown return. Santos just sent the kickoff into the stands. That’s impressive. 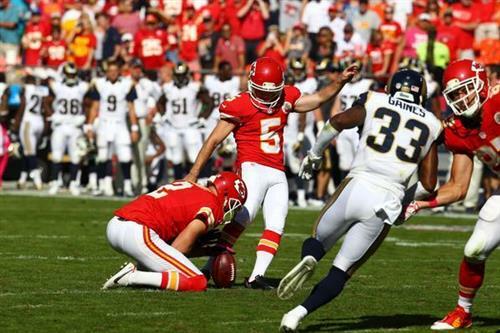 #Chiefs kicker Cairo Santos is "em chamas". Eight consecutive field goals made. Tip drill .... falls incomplete. 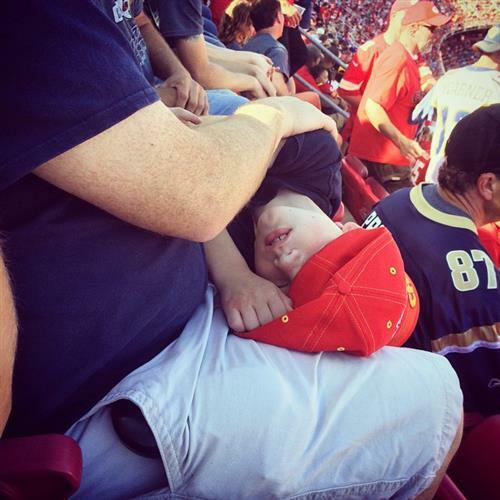 But it was third down so the Chiefs are getting it back. 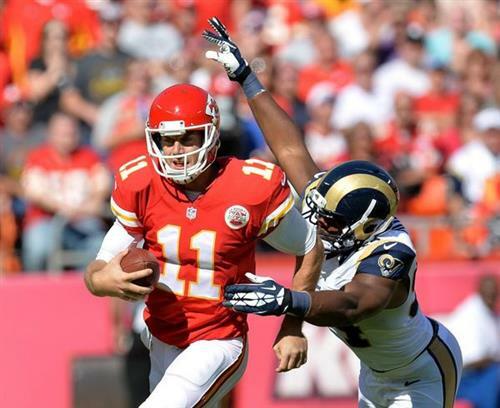 Yes he is RT @bvaughnMO Sean Smith is having such a good year. I have a tremendous need for a DAT touchdown. It’s a sickness. 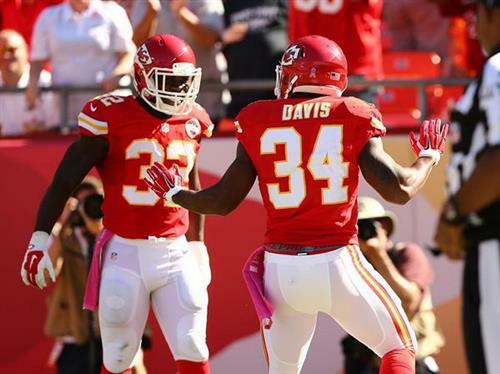 If you can't be happy leading by 2 TDs ... RT @leonfl24 @ArrowheadPride come on Sean Smith get a pick 6. 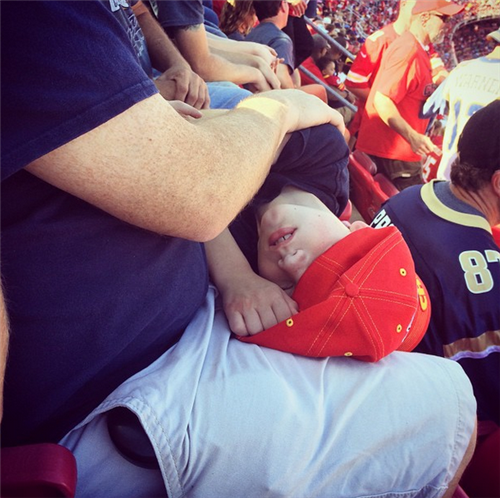 Tired seeing #Chiefs pathetic off. 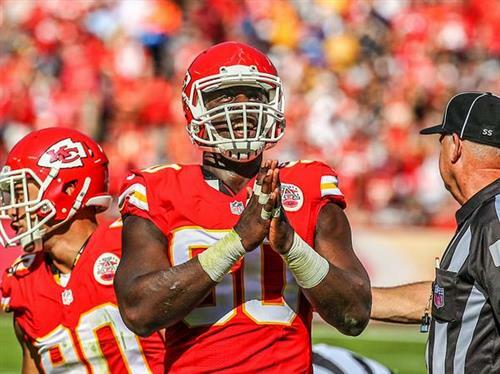 The Chiefs are winning big, the Patriots are winning big. Huh, maybe the media will realize the MNF storyline should've been more about KC. Whoa, that was a bullet throw from Smith on the run.